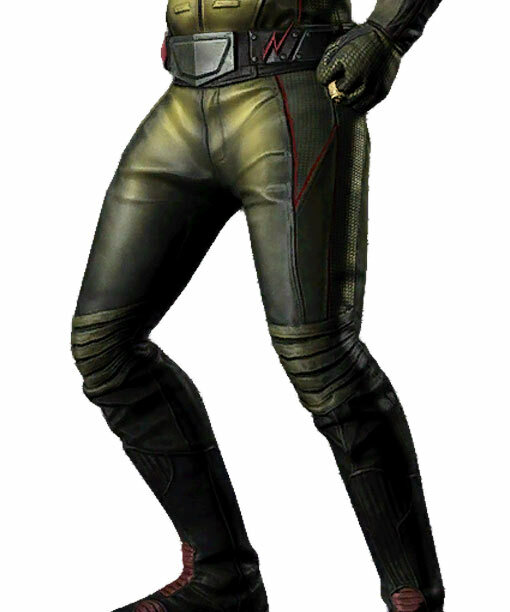 Reverse Flash Costume Pant is a stimulus from the most viewed television series The Flash, this belongs to a villain Reverse Flash. Reverse Flash Pant is crafted in PU leather. This gear has a space for belt, it includes shiny appeal, padded and patch designing. This apparel is yellow and black in color.